These days we are fortunate to have a wealth of information available to us at any moment via the Internet. 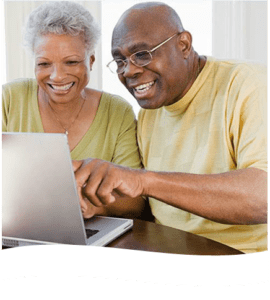 Finger Lakes Community Health’s online Patient Portal makes it possible and easy for patients to have this same accessibility to their personal medical and health information 24/7. The free Patient Portal can be accessed from any computer or mobile device with connection to the Internet using a personal email address and password. It’s straightforward, intuitive and easy to use for everyone. In fact, the highest number of current users of the Portal are 55 and older! On the Portal, patients can send a confidential message to their providers at any time and receive a timely response during business hours via Portal messaging or by a phone call. There’s no longer the need to take time out of your day to call your provider or leave a voice mail when the office is closed. When you receive a new message on the Portal, an alert will be sent to your email address. Of course, in an emergency, we recommend contacting emergency personnel. Updating your demographic information can easily be done on the Portal, too. It saves time by eliminating the need to call into the provider’s office. A few simple clicks on the Portal can get your prescription filled by your provider. You’ll receive text and email alerts once it’s ready for pick up. Easy! Do you have a question about when to take your medication? You can access specific medication directions your provider shared at any previous appointment by reviewing the “visit summary” via the Portal. View and print lab results and shot and immunization records on the Portal. Our offices will still call patients with their lab results first, and the Portal offers a convenient and confidential place to keep this information stored. Easily request an appointment on the Portal and receive confirmation of the finalized date and time. You will receive appointment reminders one week before and one day before the appointment. The portal makes it simple to view and request referrals from your provider, too. Access to the Portal on your mobile device? Simple. Just download the Healow app from Apple’s App Store and Android’s Google Play Store to any mobile device to access your health and medical information confidentially. Use the same username and password as the Patient Portal upon log in and access these services whenever you’re on the go. Common misconceptions about portals stem from experiences where communication was unreliable and use of the portal was difficult. That’s definitely a thing of the past. Patient Portals are a reliable communication tool between providers and patients. The Patient Portal can be used by any patient of Finger Lakes Community Health – an independent healthcare organization with eight health centers in the region. Sign up by entering a personal (non-work) email address and password to maintain confidentiality at the Patient Portal page on this website. If you’d like to sign up by phone or email, you will need to provide us with your identifying information such as your name, date of birth, and emergency contact. Reach us directly by calling (315) 781-8444 or emailing us at info@LocalCommunityHealth.com.